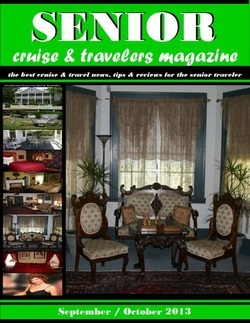 Advertise In Senior Cruise & Travelers Magazine! Senior Cruise & Travelers Magazine is specifically written for mature travelers (age 55+). We have verified readers from every part of the world. The biggest growing demographic group in the USA is the 55+ group. They are also the fastest growing group of internet users. When you advertise in Senior Cruise And Travelers Magazine, you reach this fast growing, affluent, and confirmed travel market.